Police on Wednesday night arrested a Dimao-based suspected drug dealer who was allegedly caught in possession of shabu worth P118,000 during a buy-bust operation in Tagbilaran City. 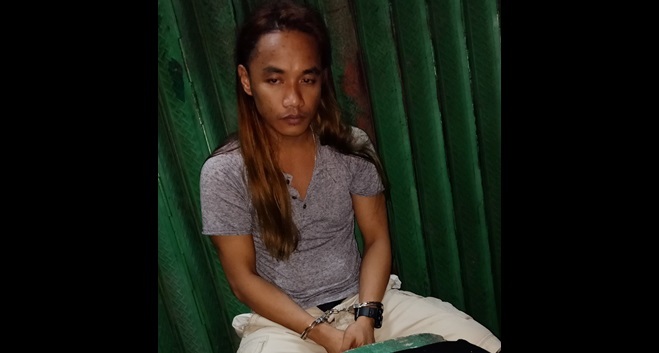 A composite police team composed of operatives from Dimiao and Tagbilaran City apprehended Jopri Osorio, 35, a native of Loay, along M.H. del Pilar in Barangay Poblacion II. In a report, police said that intelligence officers spotted Osorio as he we selling shabu in the said street. Police then set up the sting operation which led to Osorio’s arrest. Osorio allegedly sold shabu worth P2,000 to a police poseur-buyer. Authorities said that arresting police officers found 10 more grams of suspected shabu in Osorio’s possession. The seized drugs were estimated to be worth P118,000.